Have You Got Sensitive Teeth? 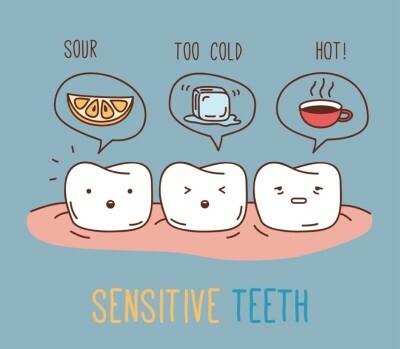 Sensitive teeth can occur when tooth enamel is lost exposing the inner layer of the tooth called the dentine. Dentine can be exposed by gum recession, abrasion by vigorous brushing or acid erosion. When the gums recede, the sensitive dentine at the neck of the teeth is exposed. Good oral home care including twice daily careful brushing with a soft bristled toothbrush and daily flossing. We recommend brushing with an electric toothbrush with a small soft rounded head. An electric toothbrush uses the correct technique to prevent over brushing or abrasion which can wear the enamel. Regular dental visits to remove tartar that can build up on your teeth and cause gum disease and recession. Avoid Sugary and acidic food and drinks between meals and before bed which can dissolve the enamel on your teeth. Use a toothpaste for sensitive teeth eg. Sensodyne, Colgate Sensitive or Colgate Prorelief. These toothpastes contain active ingredients that work by depositing a barrier that blocks the exposed dentine and prevents the flow of fluid within the canals that would otherwise cause pain. The Four Steps To A Happier Healthier Mouth When You're On The Go! Brush your teeth for at least two minutes twice a day. clean teeth systematically, holding toothbrush at the gumline at a 45 degree angle. Don't press too hard! Too much pressure can damage the gums and teeth enamel. Choose a toothpaste with fluroide and replace your toothbrush every 3 months. 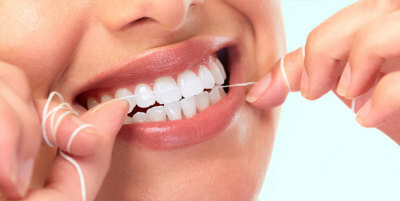 Make flossing part of your daily oral hygiene regime. Ask your dentist to demonstrate the correct flossing technique if you're unsure. For some people interdental aids assist quite well in the areas you may not be able to reach. As soon as your child has two teeth that come into contact with eachother is when flossing should be introduced into their daily hygiene regime. Limit your sugar intake as it is the most frequent cause of food decay. Fluroidated tap water is best for a healthy smile. Read ingredient panels on food products as many contain hidden sugars. Try and avoid snacking and grazing. Make sure you visit your dentist regularly, at least once a year. Regular dental check-ups are essential to maintaining good oral health. Dentists can check for problems that you may not be able to see or feel such as, early signs of tooth decay and gum disease. Wisdom teeth, also known as "third molars" usually do not push through the gum until people are in their late teens or even older. Wisdom teeth are uually the last set of teeth to erupt. Most people have four wisdom teeth, some have two and in others they are non existent. In many people there is not enough space in the mouth to accommodate four extra teeth. If this is the case the tooth will become wedged or "impacted". 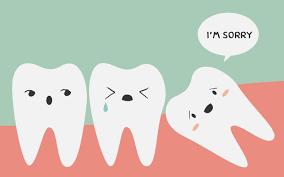 Some impacted wisdom teeth will remain in place and cause no trouble. In others, oneor more will cause severe problems and will requrie removal. You may experience pain or swelling while your wisdom teeth grown in, or you may have no symptoms at all. It is very important to have your wisdom teeth assessed by your Dentist for preventitive reasons. As many would know, many changes occur during pregnancy, not only to your lifestyle but to your body and overall health and well-being. Good dental hygiene is even more important during pregnancy and it is important and safe to see your dentist whilst pregnant. 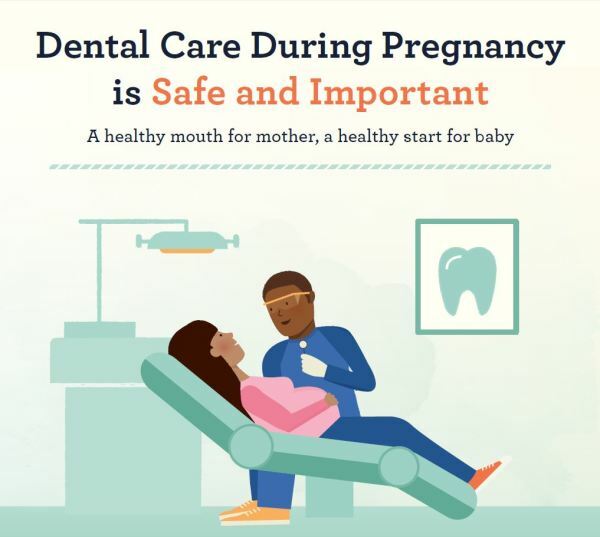 If you are pregnant or suspect that you are, ensure you inform your dentist or hygienist when you have an appointment. Your dentist will check all the necessary areas that tend to be affected during pregnancy to ensure your oral health is well maintained. Most dental treatment is safe during prenancy however, dental x-rays should be avoided unless your dentist considers it essential. The dose of dental radiation is very low and special precautions will be in place if an x-ray is needed. - Drink plenty of tap water. the fluoride in tap water strengthens the teeth and helps to prevent decay. Fluroide does not affect the development of your baby. - Eat a wide variety of healthy foods.